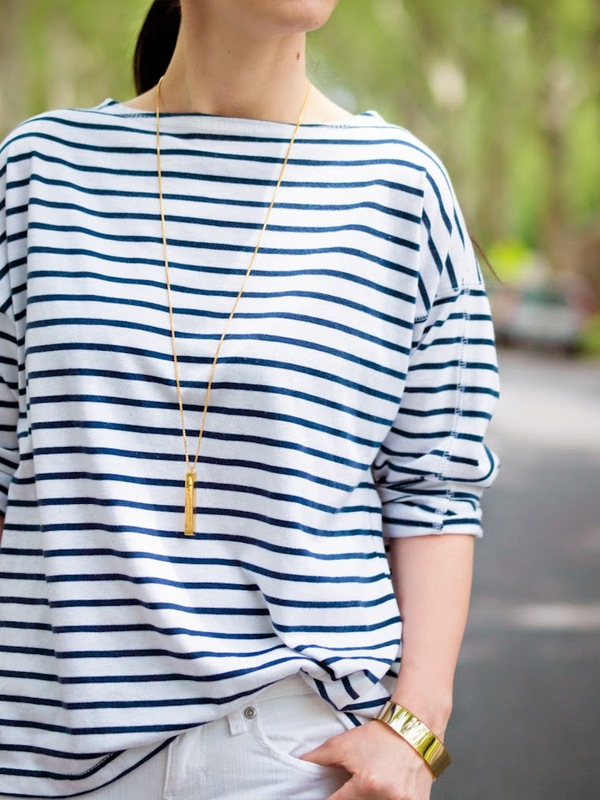 There's nothing as simple and great as a striped top and a pair of white jeans! 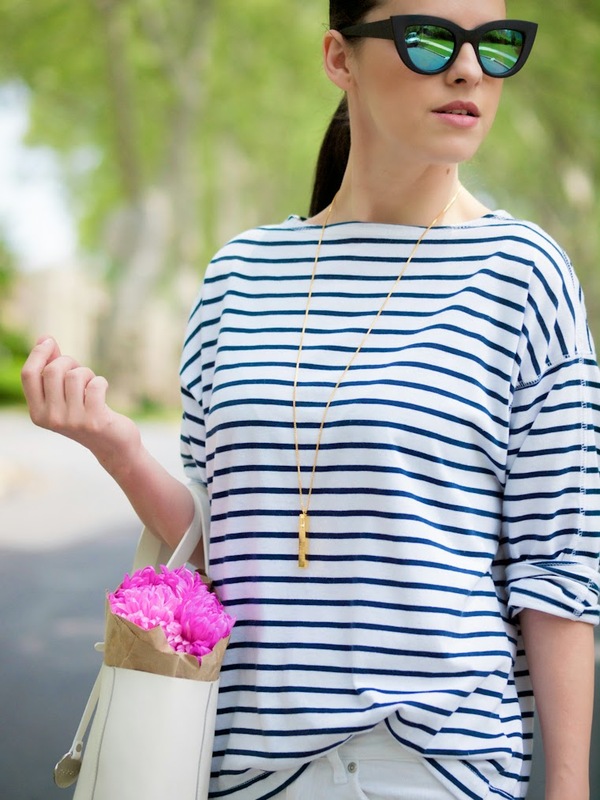 Gold accessories are also o perfect touch to this summery outfit and I added this minimalist statement necklace from So Pretty Cara Cotter. But I didn't stop there and this look couldn't be done until a dose of colour made an appearance. Pink was my choice this time. 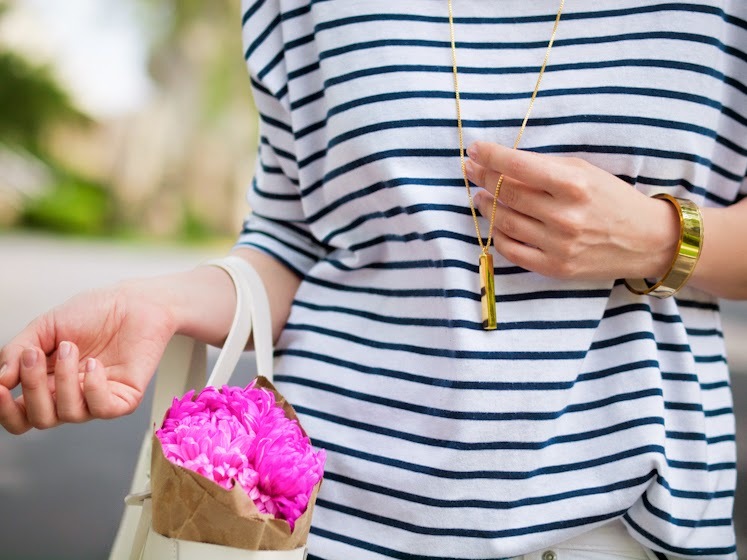 On my way home I stopped to pick some flowers and here I am: wearing a double dose of pink in a light and easy look! Beautiful outfit! Great tote and pumps! I love this combination. I have very similiar shoes! Pink makes this look so unique! Love the styling. This look is effortless, love the pop of pink. Such a cute look! 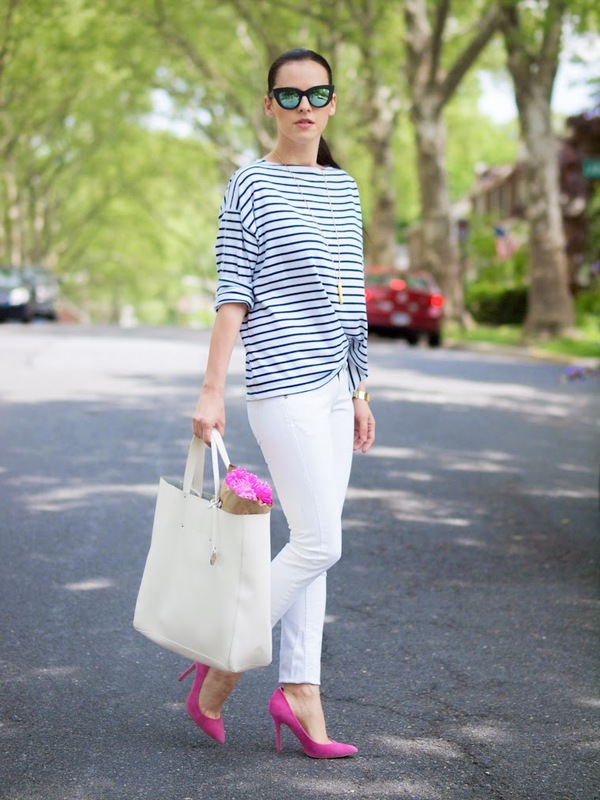 Loving those stripes mixed with the pink pumps!